Homepage » Crochet For Baby & Children » Baby Blankets » The Not-So “Ugly Christmas Sweater” Crochet Blanket For Christmas Decorating And Fun! [Free Pattern] Is soft, Is Chunky, Is Quick! This Granny Square Blanket Is Awesome! What an original idea! 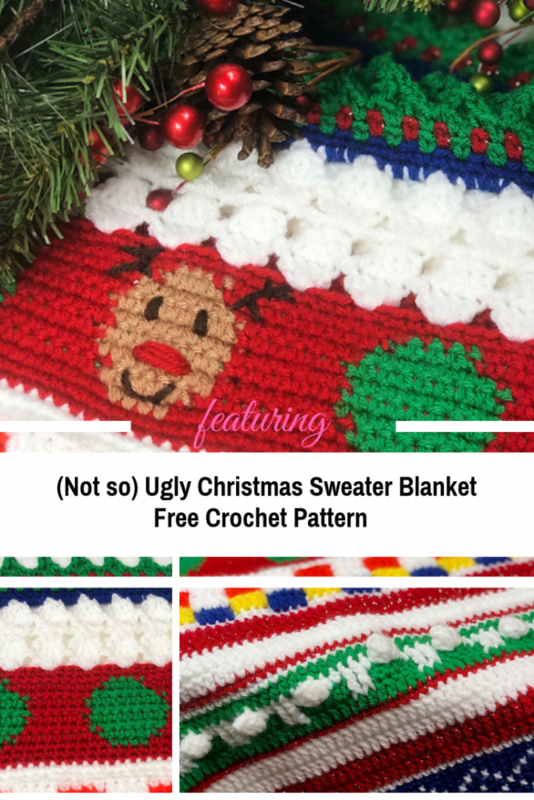 This “Ugly Christmas Sweater” Blanket free crochet pattern designed by Elizabeth Mareno and released weekly right into your Ravelry account sounds like so much fun! The test version of this gorgeous blanket looks absolutely awesome so choose your colors and give it a go! 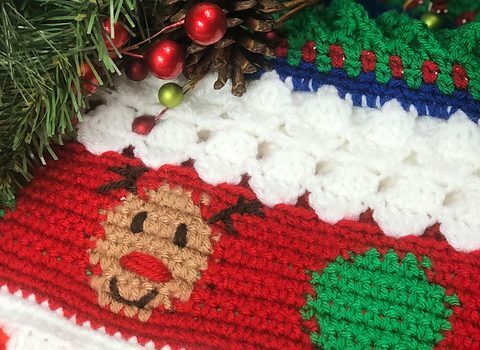 You will finish this playful and free Christmas crochet blanket pattern just in time for Christmas decorating and fun. beautiful ~ it’s up to you! We are going to be working through lots of fun stitches in this CAL. intarsia and cross stitch to mix things up and keep it challenging. as short or as long as it takes- I’m here for you! Thanks to Elizabeth Mareno for the article inspiration and featured image.